If you think cruising in Europe has gone from zero to 60 rather quickly, river cruises throughout Asia have positively exploded over the past 12 months. Gone are the days when only a few lines cautiously dipped their toes into the storied waters of the Mekong and Yangtze; in 2013, more lines than ever will offer voyages throughout this picturesque – and still deeply mysterious – region of the world. Avalon Waterways offers three distinct itineraries along China’s Yangtze river in 2012 and 2013: the quick 11-day Magical China & the Yangtze River, operating from Beijing to Shanghai; the 15-day Cultural China & Tibet with Yangtze River Cruise from Shanghai to Beijing; and the Enchanting China & the Yangtze River, spanning 15-days and traveling from Beijing to Shanghai. Uniworld Boutique River Cruises offers six different itineraries in both 2012 and 2013: the 14-day China, Tibet & the Yangtze from Beijing to Shanghai; the remarkably accessible 10-day Classic China from Beijing to Shanghai; the comprehensive 18-day Grand China & the Yangtze from Beijing to Hong Kong; an 11-day Highlights of China & the Yangtze from Beijing to Shanghai; the 13-day Splendours of China & the Grand Yangtze, also from Beijing to Shanghai; and the enriching 17-day journey Wonders of China & the Grand Yangtze, also from Beijing to Shanghai. 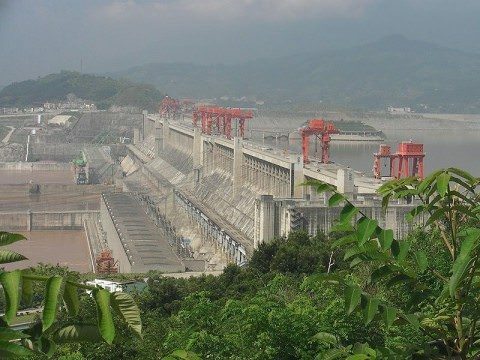 China’s Three Gorges Dam is a monumental sight. Photo courtesy of Wikipedia. Viking River Cruises has four different itineraries in China ranging in length from 12 to 18 days. 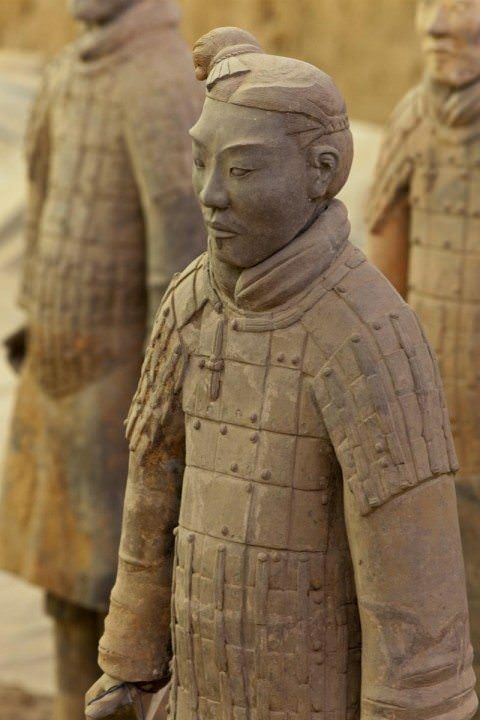 Its 12-day Imperial Jewels of China from Shanghai to Beijing is always a popular bet, as is the line’s 16-day Roof of the World itinerary from Shanghai to Beijing, including visits to Lhasa in Tibet. For those with more time, it’s tough to go wrong with Viking’s 17-day China’s Cultural Delights from Beijing to Shanghai or its full-featured, 18-day China Explorerthat operates from Beijing to Shanghai and includes stops in Chengdu and Lijiang. AmaWaterways is offering a 16-day itinerary called Vietnam, Cambodia and the Riches of the Mekong that includes two nights in Hanoi, an overnight stay in Ha Long Bay, and a three-night stay in Siem Reap before embarking on a weeklong river cruise up the mighty Mekong that ends in historic Ho Chi Minh City. Not only can you still book some of the remaining 2012 departure dates but also itineraries running through 2014 are now available. 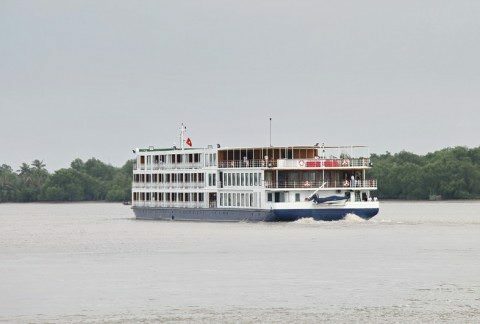 Avalon Waterways has three different itineraries sailing the Mekong for 2012 and 2013, starting with the 14-day Vietnam, Cambodia & the Mekong River from Bangkok. Also offered in the reverse direction, the inclusion of Bangkok is a unique feature. In addition to its natural beauty, guests will also have the opportunity to look at Vietnam’s darker past, including a visit to the Tuol Sleng Genocide Museum – a former high school that held up to 17,000 prisoners. For those with more time to spare, Avalon also offers a third itinerary choice: the 17-day Fascinating Vietnam, Cambodia and the Mekong with Hanoi and Ha Long Bay (WHSE), with departures beginning September 13, 2012 and continuing more or less until December 26, 2013 aboard the Avalon Angkor. 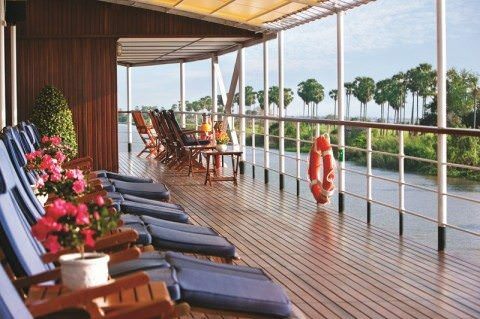 The expansive Sun Deck aboard River Saigon. Photo courtesy of Uniworld. Uniworld Boutique River Cruises also gets into the mysteries of the Mekong with its 15-day cruisetour aboard the brand-new River Saigon. Dubbed the Timeless Wonders of Vietnam, Cambodia and the Mekong, this journey from Ho Chi Minh City to Hanoi is custom-tailored for no more than 60 guests at a time onboard the River Saigon and 20 guests on-land, ensuring an intimate, personalized experience. Departure dates for 2012 and 2013 are available for booking. Viking River Cruises operates its popular 15-day Magnificent Mekong itinerary aboard the RV Indochina and operating from Hanoi to Ho Chi Minh City or reverse. In Siem Reap, guests can tour the imposing Angor Wat, a magnificent 12th Century temple that’s also a UNESCO World Heritage Site. Departure dates for 2012 and 2013 are available for booking. For many North Americans and even Europeans, Asia is quickly emerging as a popular destination in its own right, running with the so-called “key” destinations like Europe and Australia/New Zealand. It’s all the more reason to visit this emerging region of the world now, rather than later.